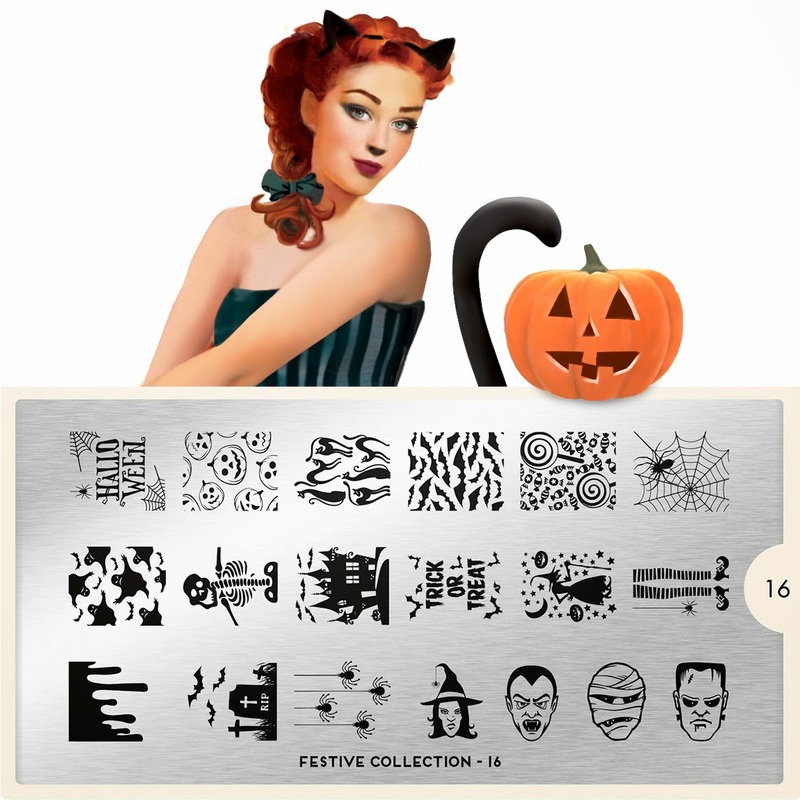 Lacquer Lockdown: Hot Off The Stamping Press: MoYou London Gothic Collection Expansion + Festive Collection Halloween Special Editions! 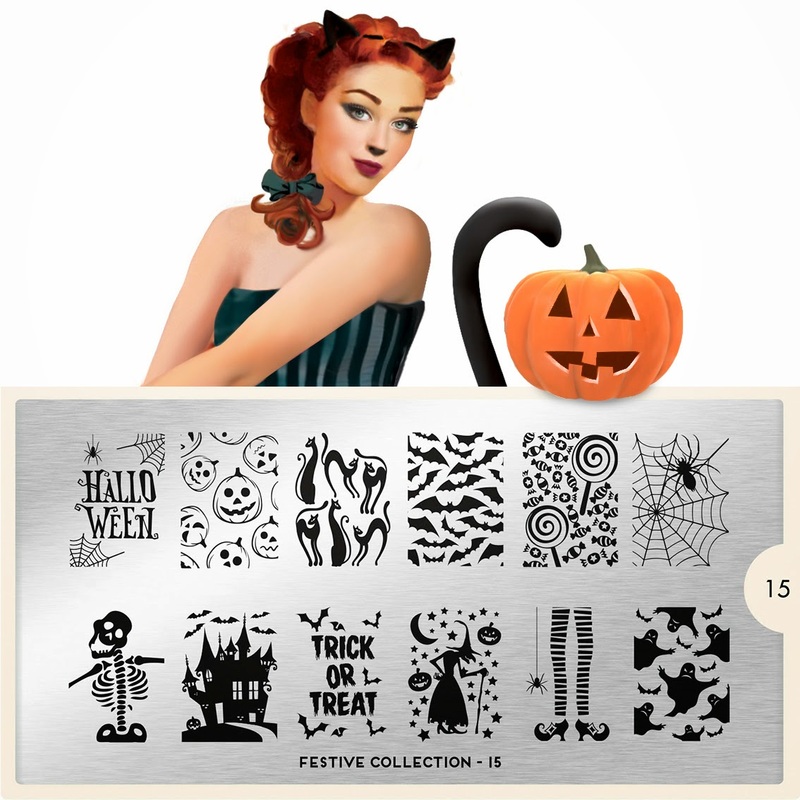 Hot Off The Stamping Press: MoYou London Gothic Collection Expansion + Festive Collection Halloween Special Editions! So those of you who follow me regularly may have noticed the barrage of posting I've been doing over the last 3 days. For whatever reason blogger decided to eliminate my last two months of posts. I have no idea what happened, but the good people at blogger were able to help me recover the data at least so that I could repost them. Obviously I haven't been doing much besides dealing with this, but now I've finally got everything recovered I can post my usual Wednesday MoYou London post today. Oy! 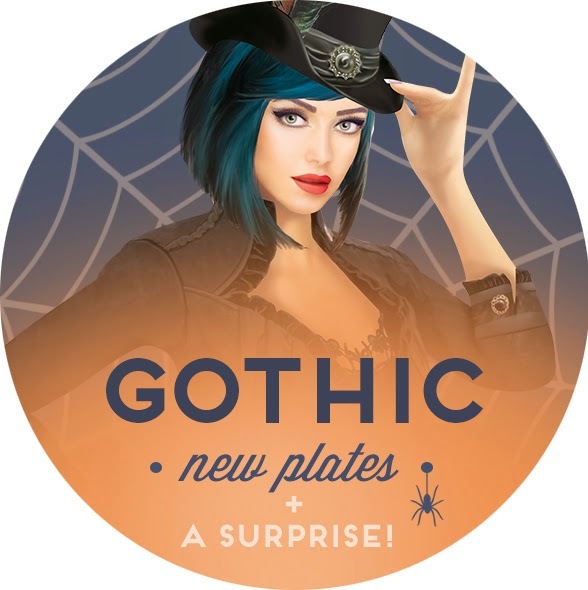 In any case the Gothic Collection is back and as a bonus MoYou is offering us 2 new plates from the Festive Collection Halloween style. Gorgeous! 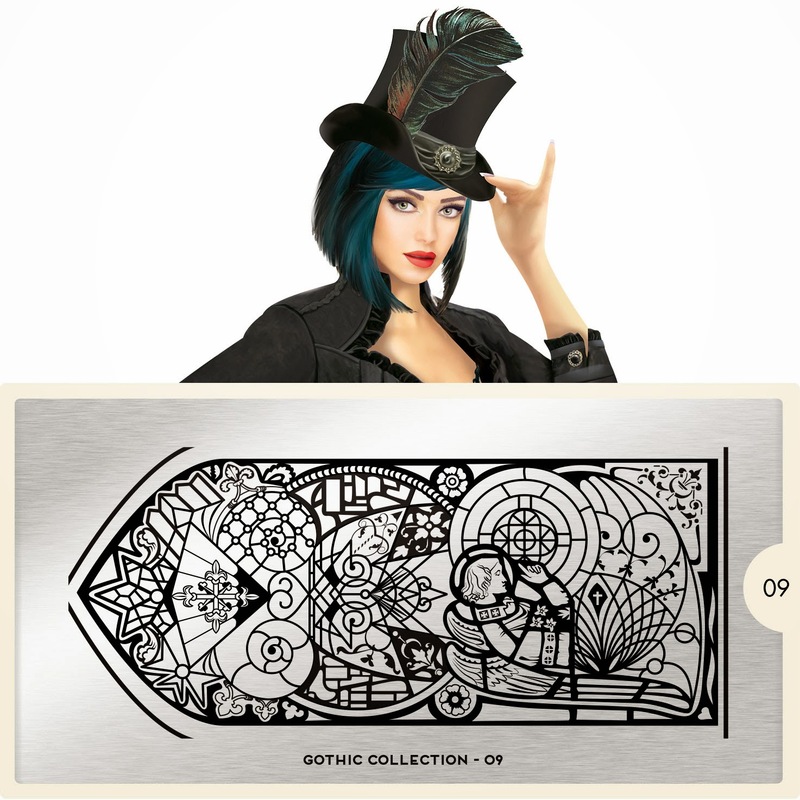 This plate is so reminiscent, at least to me, of the Designer series put out by DRK Nails i.e. the thin lines and the delicate swirls. I really hope to see more plates like this in the future because I love this style. Wow! This is like stained glass heaven! There are so many small and beautiful details on this plate I am blown away. Another stunner! 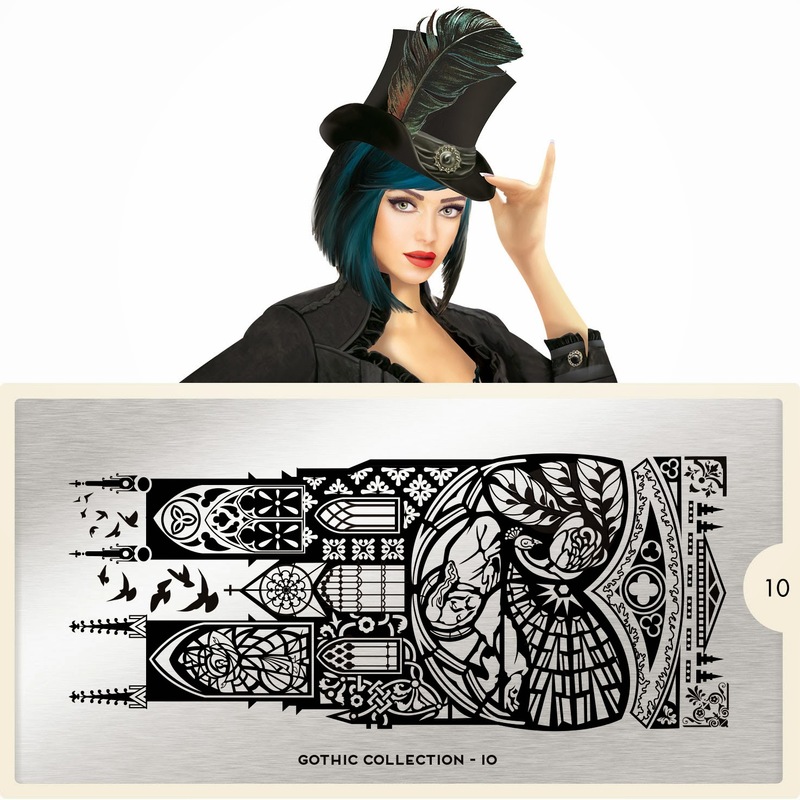 I wish they had started off the Gothic Collection like this before because these last few plates and been spectacular and a little more in line with what I initially expected. If you recall the first few plates were a bit cartoonish and Halloweeny. Sorry for your blogger hiccups :( Great you managed to get the posts back. Conny in total agreement with you! I want all of these! Yeah I really have no idea what happened with my blogger account. It's always distressing when these things happen but I'm glad I got it straightened out. Thanks sweetie! Yup glad all the posts are back though the comments are now missing :/ Oh well i guess you can't have it all. About the plates you are totally right! They finally got it right in this release right :) Are you planning to get any? 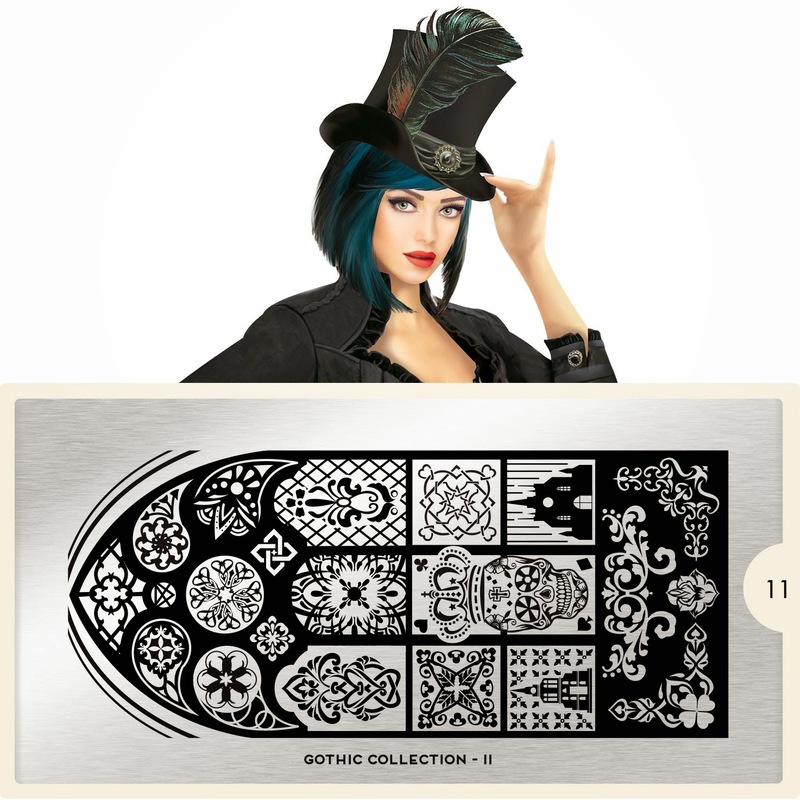 i can´t wait to get my hands on the two big gothic ones <3 perfect! Neh, after the last must-buy of the kaleidoscope collection I feel happy and fullfilled :) Good for my wallet, it's been protesting a lot lately ;) If I were an awfully rich I would buy. SO what I feel now is a platonic love, lol.